1. Clean the anchovies removing heads and entrails but leaving the central spine. Wash carefully and put them in a colander. Allow all liquid to drain well. 2. Pour olive oil in a frying pan. Add garlic, chili peppers, empty parsley stalks and bay leaves. 3. Arrange anchovies radially in a single layer putting the tail towards the center of the pan. Sprinkle with salt. 4. Put the pan on the stove over high heat with no cover. 5. 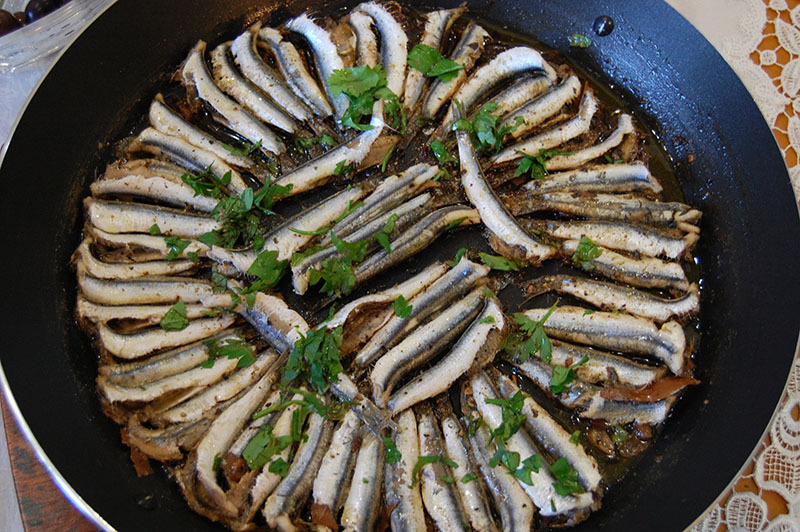 When the anchovies have become white and begin to stick to the pan add the vinegar. Keeping the pan over high heat evaporate the vinegar in the shortest time possible. 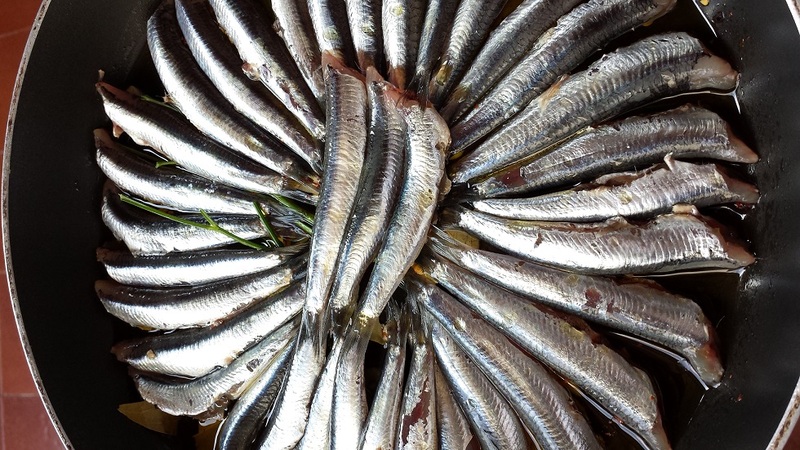 Occasionally shake the pan so the anchovies do not stick. 6. When the liquid becomes restricted and the anchovies begin to stick to the pan remove from the stove. 7. Add a little bit of olive oil and roughly chopped parsley. Okay, for “spot the difference” lovers, I admit the pictures were taken on two different occasions but the recipe was the same. Enjoy!